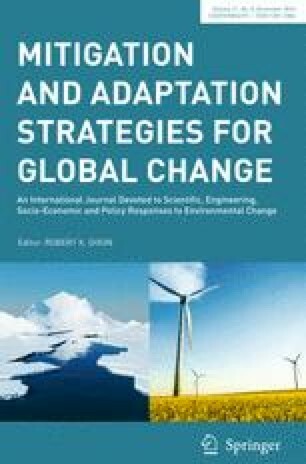 Most modelling studies that explore long-term greenhouse gas mitigation scenarios focus on cost-efficient emission pathways towards a certain climate target, like the internationally agreed target to keep global temperature increase below 2 °C compared to pre-industrial levels (the 2 °C climate target). However, different timing of reductions lead to different transient temperature increase over the course of the century and subsequently to differences in the time profiles of not only the mitigation costs but also adaptation costs and residual climate change damage. This study adds to the existing literature by focussing on the implication of these differences for the evaluation of a set of three mitigation scenarios (early action, gradual action and delayed action), all three limiting global temperature increase below 2 °C above pre-industrial levels, using different discount rates. The study shows that the gradual mitigation pathway is, for these discount rates, preferred over early or delayed action in terms of total climate costs and net benefits. The relative costs and benefits of the early or delayed mitigation action scenarios, in contrast, do strongly depend on the discount rate applied. For specific discount rates, these pathways might therefore be preferred for other reasons, such as reducing long-term uncertainty in climate costs by early action. The authors kindly acknowledge the input and comments made by colleagues and the ACT 2015 project partners. This paper is partly based on a suite of materials developed through the ACT 2015 project, which is funded by the European Commission and the International Policies and Politics Initiative via the Climate Works Foundation. This study has also received funding by the European Union’s Seventh Framework Programme (FP7/2007-2013) under the REA grant agreement no. 603942 (PATHWAYS). The authors of this paper declare that they have no conflict of interest and that this paper complies with the ethical rules applicable for this journal.